Generic medications for treating erectile dysfunction have historically been manufactured in India as until 2005 the local patent laws allowed copying brand-name drugs before patent expiry. Indian ED generics are very cheap because of low production costs and high competition in the country’s pharmaceutical sector. Besides, generic medications cost less compared to brand-name drugs by default. ED drugs manufactured by large international pharma companies headquartered in India are bioequivalent to Viagra, Levitra and Cialis and equally safe and effective. Meds by small no-name manufacturers, on the opposite, have been reported to contain the active ingredients in wrong amounts or be tainted with hazardous contaminants. One can identify fake Indian medications by their packaging that looks different from that of the original drugs, grammatical errors or mistypes on the label, abnormal structure, smell or taste of the pills, unreasonably low price, etc. Reliable ED generics from India available for purchase online include products by Cipla, Ajanta Pharma, Aurobindo Pharma, Dr. Reddy’s, Sava Medica, Sandoz, Sun Pharmaceutical, Macleods Pharmaceuticals, Ranbaxy and Fourrts Laboratories. The list of potentially hazardous ED meds is available on the website of the US FDA. Since brand-name erectile dysfunction medications are rarely covered by health insurance but are expensive, costing up to $78 a pill, people come looking for ways to save money when buying them. There are various cheap Indian generics like Kamagra, Valif, Silagra, Tadacip, etc. currently available both online and in land-based stores, so they look like a natural choice for price-conscious buyers. But are they as safe and effective as brand-name drugs? If so, why are they so cheap, costing as low as $0.30-0.40 online? This article answers these questions and gives advice on how to find reliable ED drugs made in India. Why Are So Many Generic ED Drugs Manufactured in India? Manufacturing of generic medications is a multi-billion dollar industry in India – according to the 2016 data, 5 out of 15 world’s largest generic pharma companies originate from and are headquartered in India. These are Sun Pharmaceuticals, Lupin Pharmaceuticals, Aurobindo Pharma, Dr. Reddy’s Laboratories and Cipla. The rapid growth of Indian generic drug manufacturers was facilitated by the 1970 Indian Patent Law. This law didn’t allow product patents for food, drugs or chemicals – instead, the patent only protected the process of producing these. As a result, Indian manufacturers got the green light to copy the newest medications right after their release instead of having to wait for up to 20 years for the original inventor’s patent to expire. The Indian Patent Law was amended in 2005, finally allowing patents for pharmaceuticals but it didn’t have any retrospective power, so pharma companies continued reproducing all medications invented before 2005. 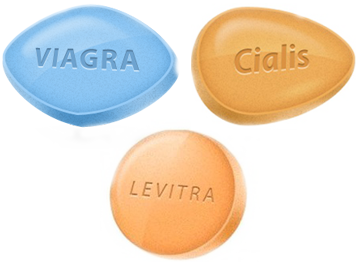 ED medications are not an exception in this respect – sildenafil (Viagra) entered the market in 1998, followed by vardenafil (Levitra) and tadalafil (Cialis) in 2003. Indian pharma companies started copying all three drugs almost immediately after their release. Why Are Indian Generics So Cheap? Brand-name drugs are expensive because pharma companies invest years and billions of dollars into the initial research, development, clinical tests and marketing. The costs are much lower for the manufacturers of generics and the demand for their products is usually already high by the time of their launch, so they start selling immediately. With GDP per capita of just under $2,000, India is a country where everything is cheap compared to the developed countries. The same applies to all production costs including labor costs, industrial land rates, etc. Liberal patent laws, huge demand for medications in a 1.3-billion-strong domestic market, flourishing inbound medical tourism are just a few factors that contribute to the growth of India’s pharmaceutical sector. And with so many companies involved in the production of similar generic drugs, it’s no surprise that there’s fierce competition resulting in lower prices. Are Generic ED Drugs from India Safe and Effective? Generic pharmaceuticals generate top 100 Indian pharma companies billions of dollars in revenue every year. The companies of such scale wouldn’t be willing to risk their money and reputation by selling products that don’t work as expected or are dangerous for the consumer. Their failure to do so would result in major losses, which is what happened with Ranbaxy, which paid $500 million in fines after it got caught violating the federal drug safety law. Top Indian pharma companies produce drugs under strict control of the FDA and similar authorities, even if their manufacturing facilities are located outside of the US. Their compliance with the Current Good Manufacturing Practices is also out of question. Therefore, generic ED drugs by such pharma producers from India are exactly as safe and effective as their brand-name alternatives. Too much of the active ingredient leading to an increased risk of adverse reactions or overdose. It’s important to stay away from such counterfeit medications and the information in the following parts of this article will show how to do it. Below are several common characteristics of counterfeit medications – watch out for these and don’t take the pills that look suspicious. The package, dosage form, tablet color or shape look different – you’ve been buying this medication for a long time and it has always looked the same, but a new delivery contains what appears to be a different product? Even if the name on the label is the same, don’t take it just yet. Check the manufacturer’s website for product images and description – if there was a redesign of the packaging or the product itself, it must be documented there. The medication appears discolored, crumbles easily, smells or tastes strange due to the use of low-quality excipients. Medication label contains grammatical errors or mistypes – such as CLALIS instead of Cialis, for example. The medication is abnormally cheap compared to average market prices – if most pharmacies sell a medication at $5 a pill, and one sells it at $1 a pill, the chances are high that the latter pharmacy’s product is fake. When buying a generic ED medication for the first time, it is a good idea to check the manufacturer’s website to see what the drug looks like. Below is the list of reliable ED drugs manufactured by large Indian pharma companies. Although most of these are not approved by the FDA yet, they come as viable safe alternatives to Viagra, Levitra and Cialis. 32 pharmacies verified by Pharmacy Checker were analyzed for this article to include only those drugs that are widely available online. This list is by no means exhaustive and may be updated in future. A brief look through the FDA’s list of tainted sexual enhancement products reveals that potentially hazardous erectile dysfunction medications made in India are marketed as all-natural dietary supplements while they actually contain PDE-5 inhibitors. Such medications are sold as over-the-counter products in Indian corner shops, on gas stations, street markets and online. They are dangerous to those who can’t take sildenafil or similar medications for health reasons, such as people taking nitrates or alpha-blockers, for example, and are looking for alternative treatment options. Avoid counterfeit ED medications at all costs. If a medication or supplement looks suspicious, don’t buy it. Take the time to read about the product – go on Google to get the information about its manufacturer, read customer reviews, check if it’s featured in any lists like the FDA’s list of tainted products mentioned above, etc. All in all, there are enough reliable generic ED medications manufactured in India and available for purchase online. By choosing the products of top pharma companies from India and avoiding no-name pills and ‘all-natural’ male enhancement supplements a patient ensures their treatment is as safe and effective as with brand-name PDE-5 inhibitors. Plus, generic Indian meds allow doing it at a fraction of the original cost. 2018-2019 Copyright © popular-articles.com All rights reserved.